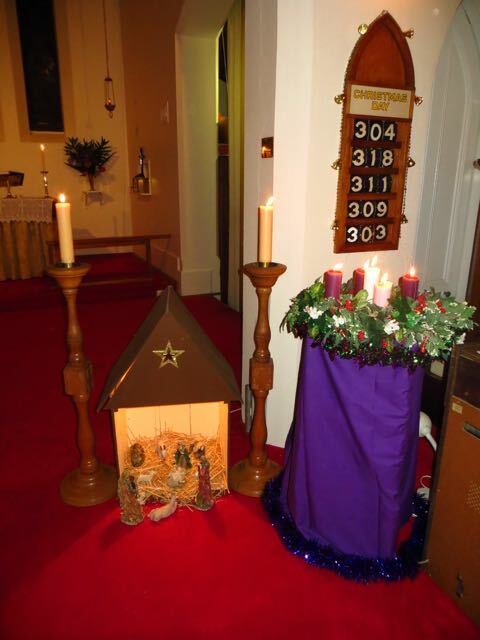 Christmas in the parish involved a wonderful Festival of Carols at Christ Church and Community Carols at Tallarook, and Christmas Eve or Christmas Day worship in all four centres. 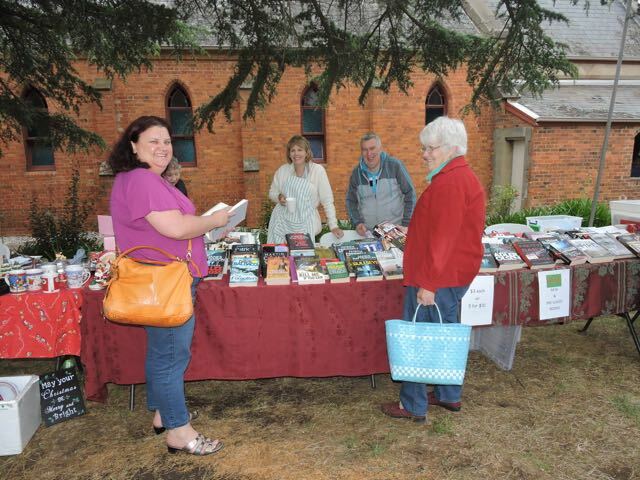 A change of venue saw the 2016 Parish Fete being held at St Matthew's Broadford. A wonderful day with support from many parishioners and community members. 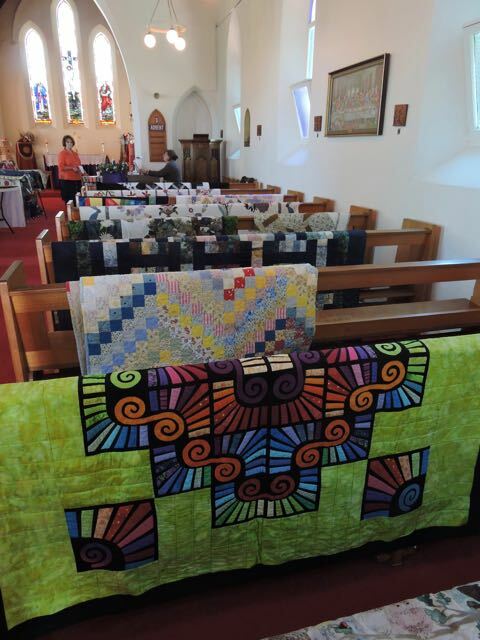 As well as the usual Fete Stalls held in Gavan Hall and the church grounds, we also held a Quilt and historical Vestments display in the church. 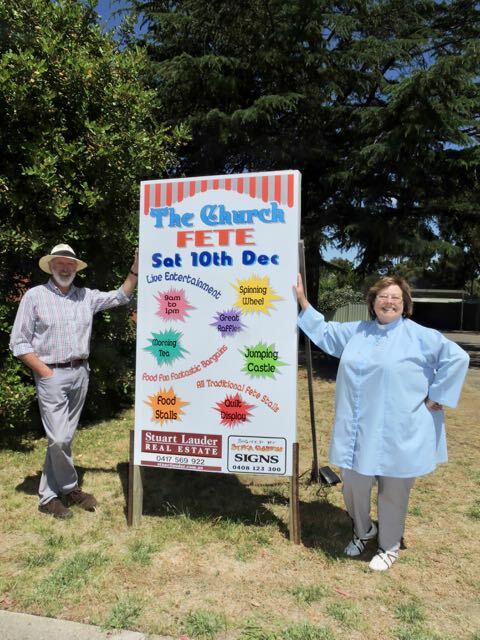 Thank you to everyone for your support, and to John Patterson our Fete Co-ordinator. After three years worshipping at Christ Church whilst attending boarding school at The Kilmore International School, it was time to farewell Ryan Tham Ju Rong. Thank you Ryan for being part of our parish. Our love and God's blessings to you as you return home to Manilla and further your education overseas. 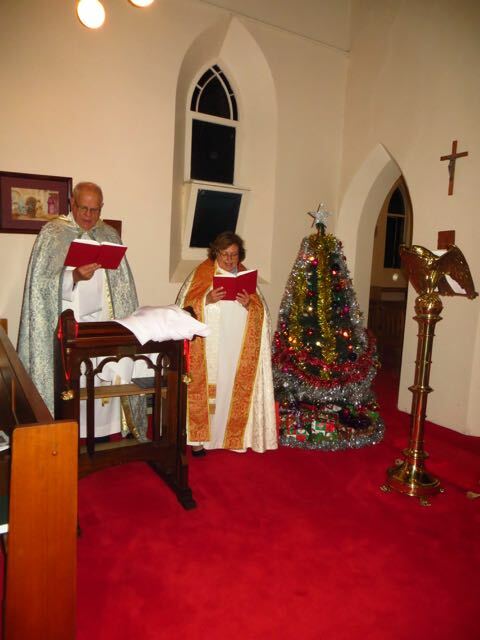 Bishop John's Episcopal visit to the parish took place in November with the Parish Eucharist at St Matthew's Broadford. 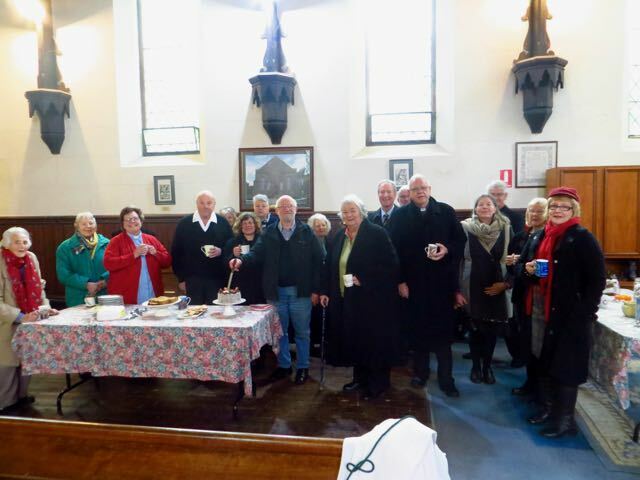 Following a parish lunch, a concert and thanksgiving for the musical ministry of Chris Schafer was held at Christ Church, Kilmore. 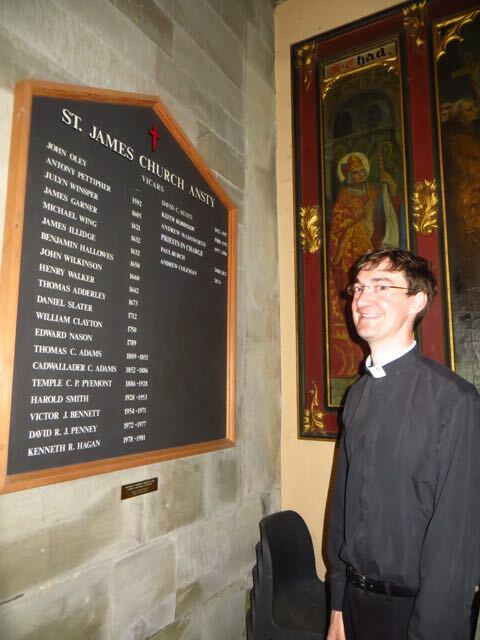 Bishop John blessed the plaque (to go in the newly renovated Christ Church in 2017) and an amazing concert was held. 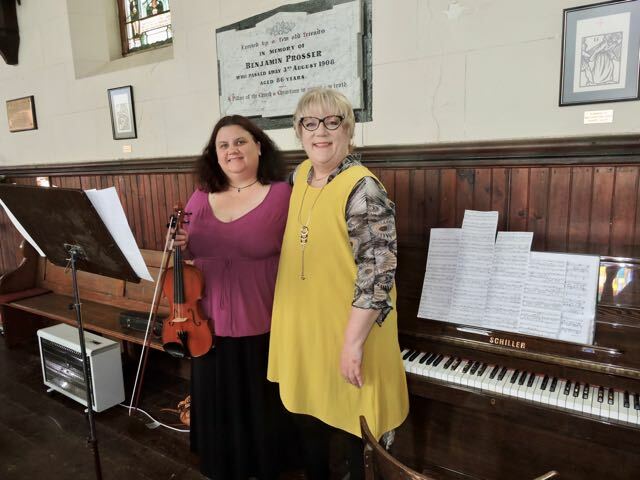 With thanks to our soloists for the afternoon ~ Kathleen Taylor on the organ; Rebecca Jones playing the violin; Hiren Benton on the piano; Julie Wallis playing the organ; and soloist Annalyse Leonard. With grateful thanks to all who gave their time for the wonderful concert. 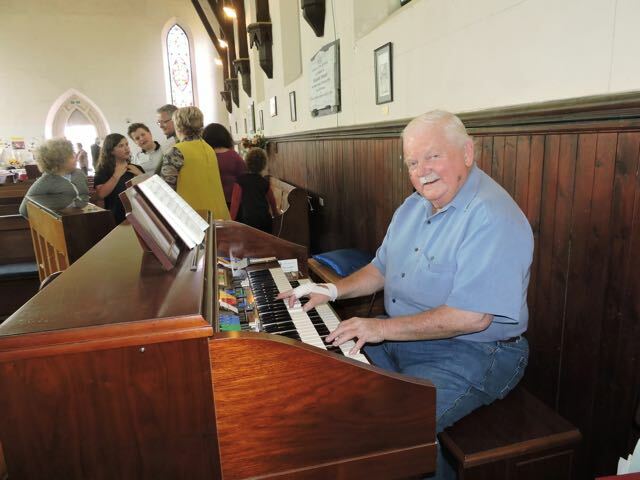 Our thanks and prayers too, to Chris Schafer for over 30 years of musical ministry to Christ Church. 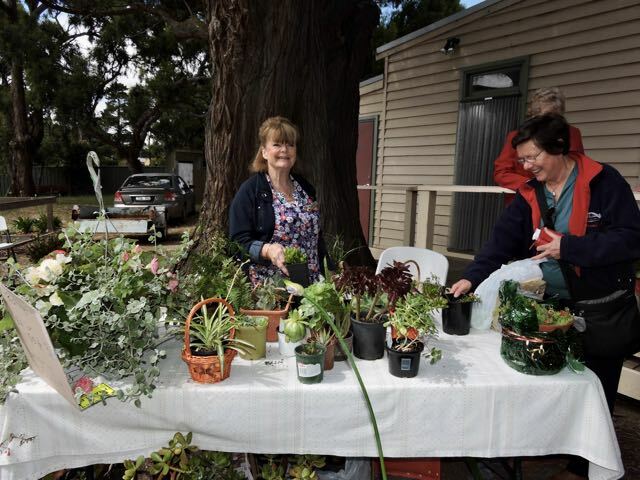 Our annual parish fundraiser for ABM took the form of a Melbourne Cup Luncheon. A great afternoon was held with much enjoyment and fun. 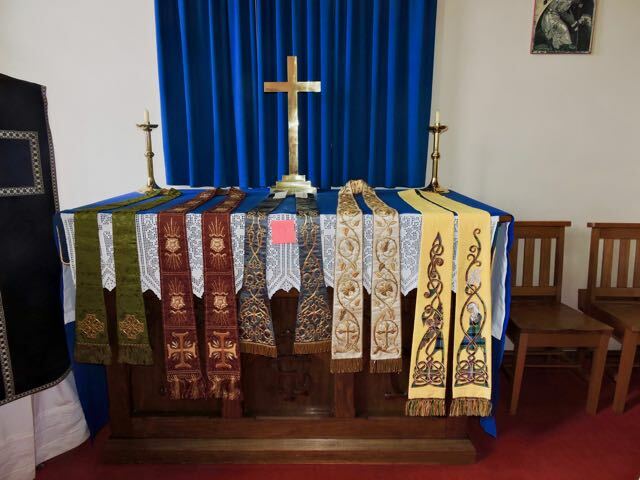 We raised over $200 for the Anglican Board of Mission, with the promise of more donations to come. Thank you to everyone who came for your support. On the fifth Sunday in October, the third of our Family Services was held at the Church of the Transfiguration at Pyalong. 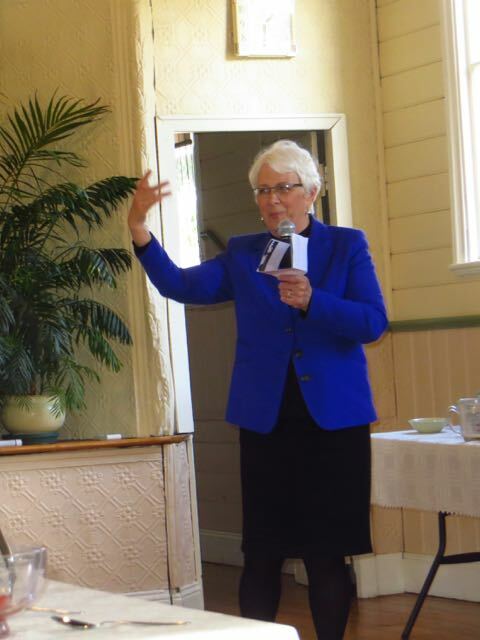 Rev'd Maryann talked of the gospel reading for the day - the story of Zaccheus, and how when we meet Jesus, like Zaccheus, our lives will be changed. A wonderful lunch was held following the service in the church grounds afterwards in the glorious bush setting. 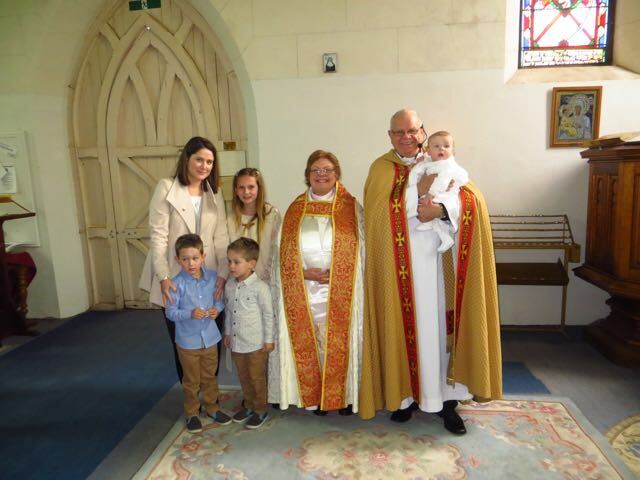 It was a joy to welcome Nathaniel into our Christian family through the waters of Baptism on Sunday 30th October at Christ Church, Kilmore. 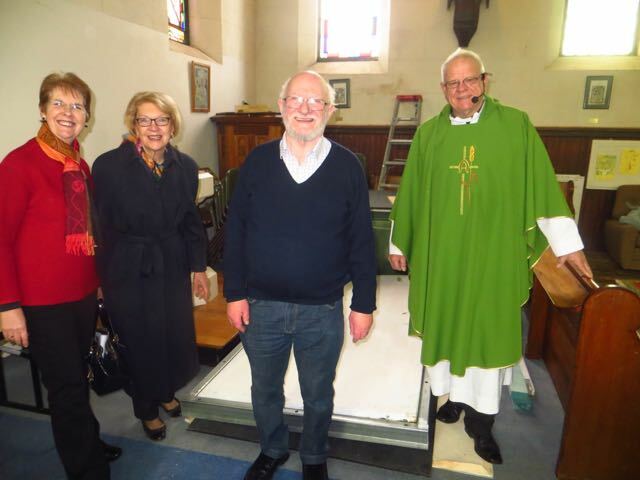 After over 100 years, the church bell at Christ Church, Kilmore, has been taken off its metal frame for a complete refurbishment. Not much is known about the bell, apart from knowing it was struck in 1891 by John Danks and Son Ltd in Melbourne. It’s possible that this is the first time the bell as been seen close up since it was erected, but the bell and frame were taken down two months ago to be refurbished and regalvanized and a new roof to be replaced. The bell has been found to be in excellent condition and with a little care it will last for another 100+ years. 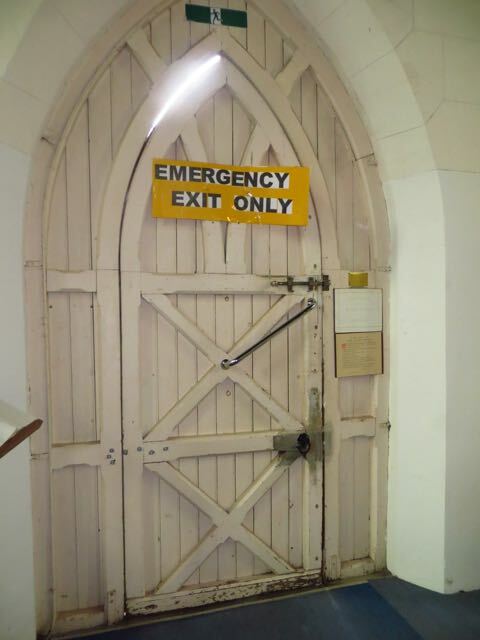 Historically church bells were originally used to call people to worship, or in times of strife, to warn of an impending attack. They have been tolled for funerals - traditionally once for each year of the deceased persons life. In happier times, a peal of bells would be rung at a wedding as a mark of a joyful occasion in the parish. 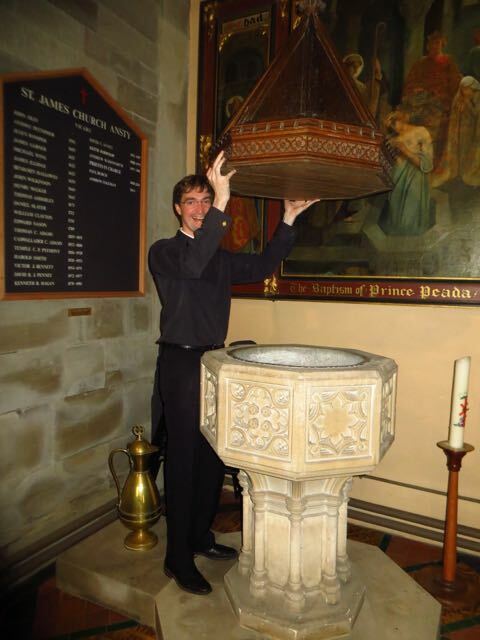 Pictured is Fr Kim Benton, Rector of Kilmore, ringing the bell (we don’t have a peal of bells!) at the recent wedding of Sarah and Paul Davidson at Christ Church. The bell was also rung 70 times back in 1997 to mark the 70th birthday of our Queen (see letter below from Buckingham Palace thanking us). 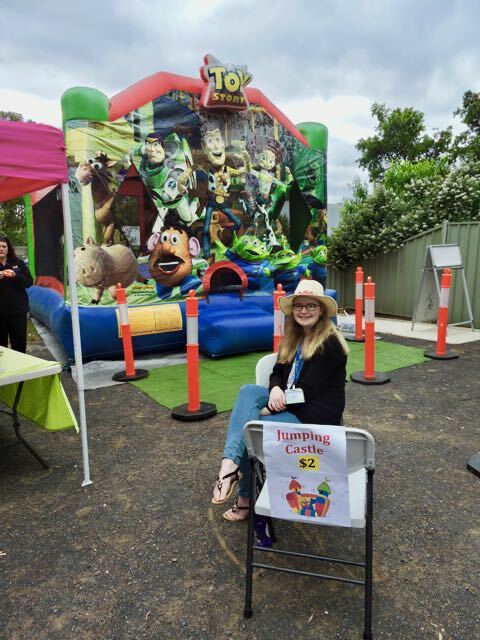 The parish is very appreciative of Bunnings in Craigieburn for the opportunity to raise money for the parish in the form of the community BBQ's. Twice a year in all kinds of weather, we go down to Bunnings to sell literally hundreds of sausages to the hungry shoppers. 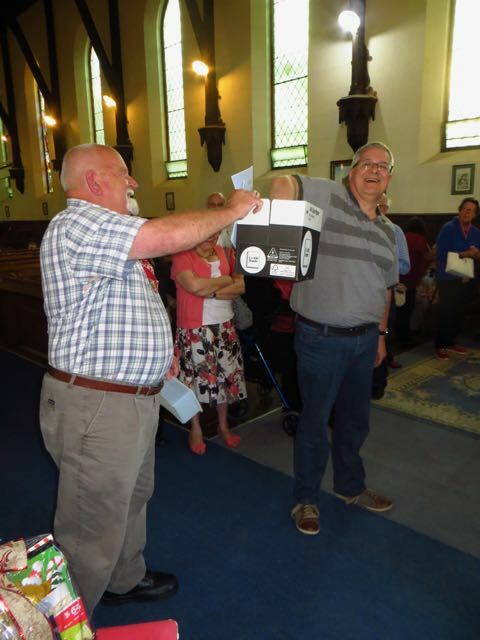 This October was the second of our two BBQ fundraisers for the year, and despite the blue sky and sunshine, parishioners and customers alike all braved the fierce wind. Having said that, a great day was had out in the community. 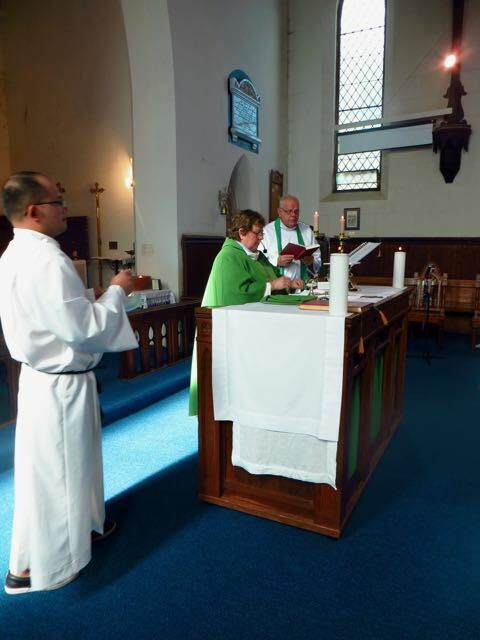 The congregation of St. Matthew’s Broadford celebrated St. Matthew’s Day in fine style on 25 September. 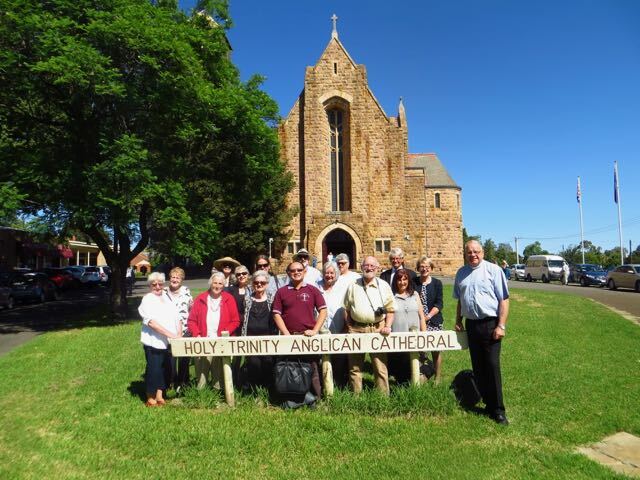 They were joined for the day by parishioners from the other centres within the Parish of Kilmore. The guest preacher for the occasion was the Rev’d Dr. Cecilia Francis. The Rev’d Dr. Cecilia, is the Emily Gavan Lecturer in Practical Theology and Coordinator of Formation and Supervised Theological Field Training, at Trinity College at the University of Melbourne. Following the morning Eucharist, all present enjoyed a hearty lunch in the refurbished Gavan Hall. The hall was built as a memorial to Emily and opened in 1902. Parishioners, locals and members of the wider Diocese may well remember Fr Andrew when he was the curate in our parish from 2007 - 2009. 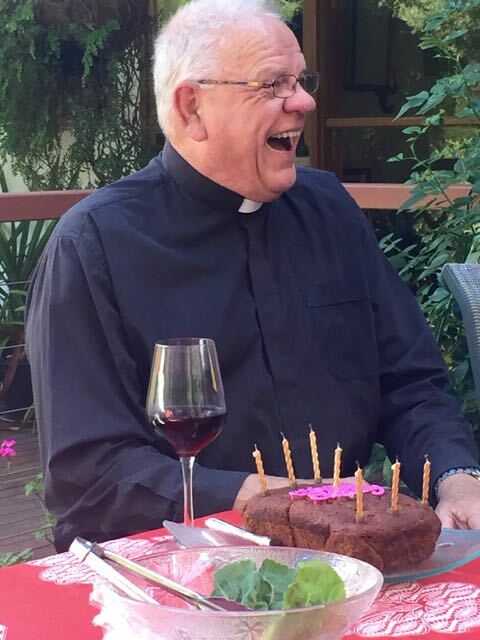 Fr Andrew left our Diocese to work in the Diocese in the Murray, before moving to the UK. 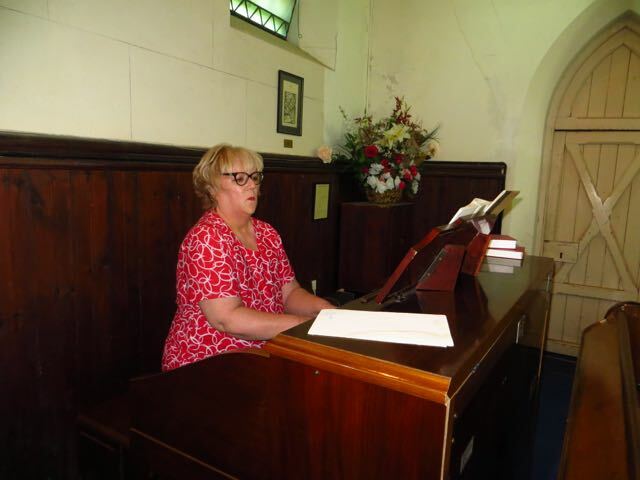 Parishioner Caroline Burge, caught up with Andrew on a recent holiday to the UK. 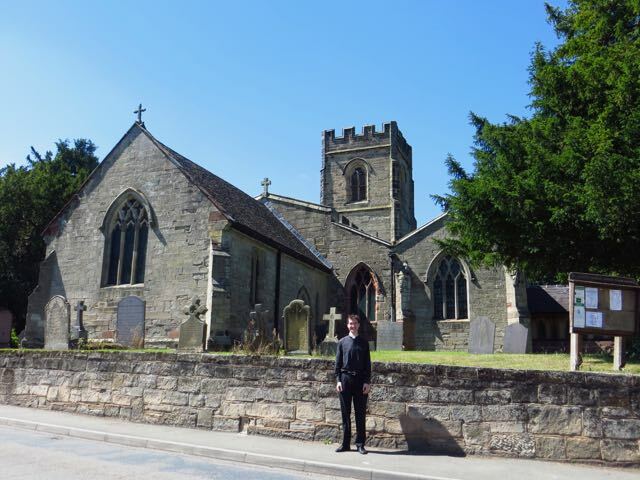 Fr Andrew is now vicar of three small villages in Coventry. 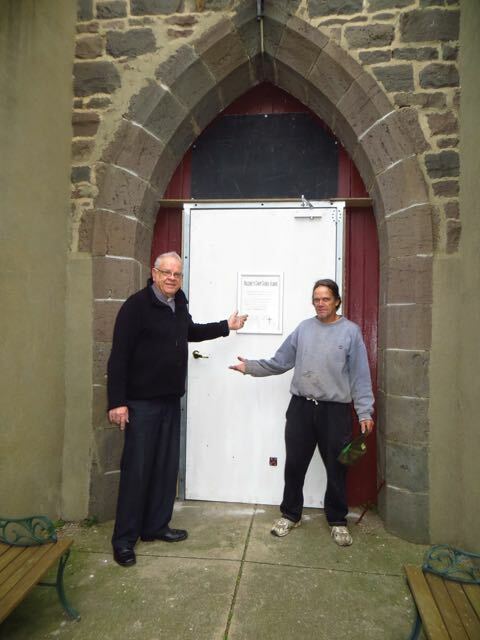 The start to some much needed and overdue renovations for Christ Church started with the main door in August. 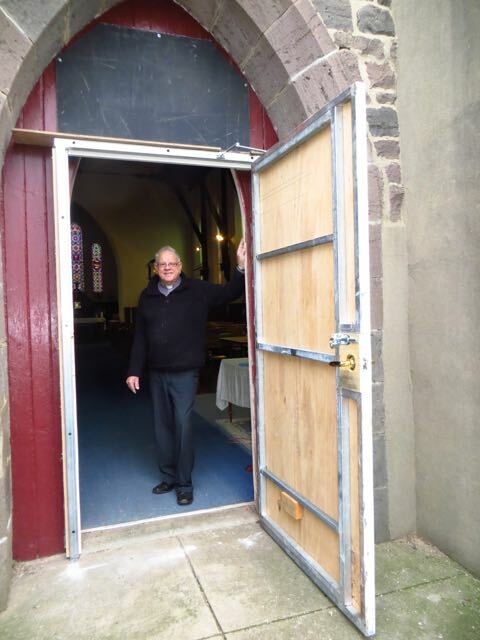 The safety of the door has been of some concern, and in the interim between now and when our renovations start in earnest in January, a temporary front door was installed. 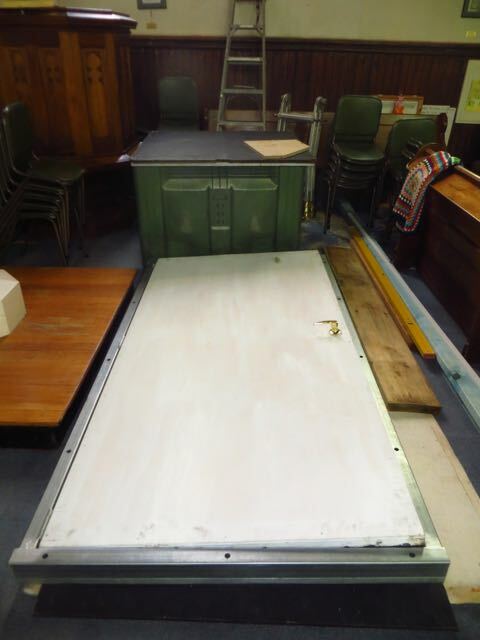 Watch this space for exciting more details of the renovations! 2016 has seen the start of our Family Mass which is being held at 11.00am on the fifth Sunday of the month. Venues alternate between Broadford, Tallarook and Pyalong. 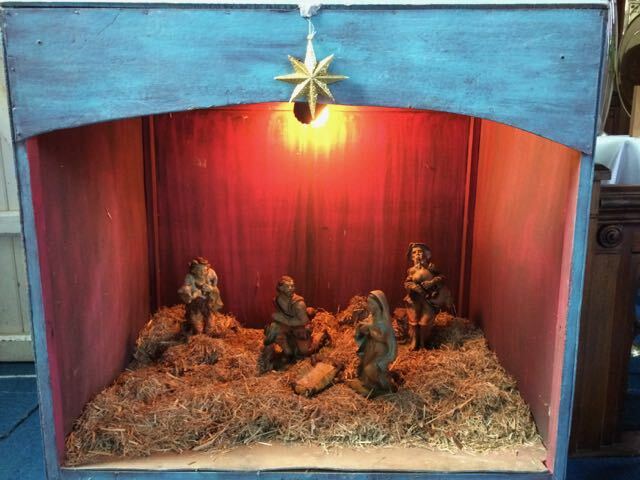 If you want further information, please contact our parish clergy Fr Kim or Rev'd Maryann. 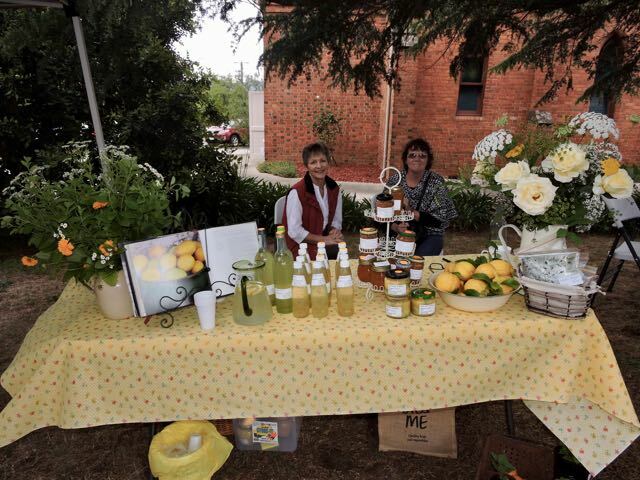 July 10th was a very social Sunday in the parish. 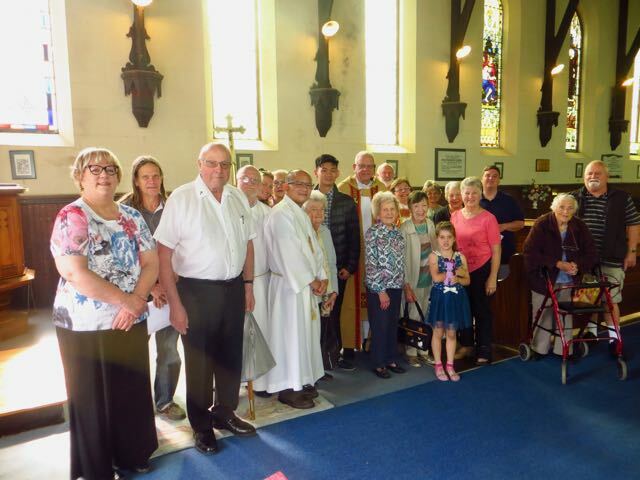 At the 9.00am Eucharist at Christ Church, Fr Kim welcomed Fr Trevor and Lyndell Smith who were visiting the parish from Tasmania. 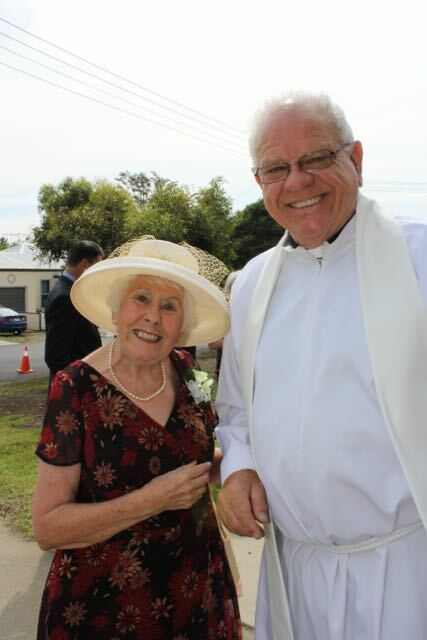 After the Eucharist, we then helped Norman and Anne Rose celebrate their 80th and 75th birthdays. 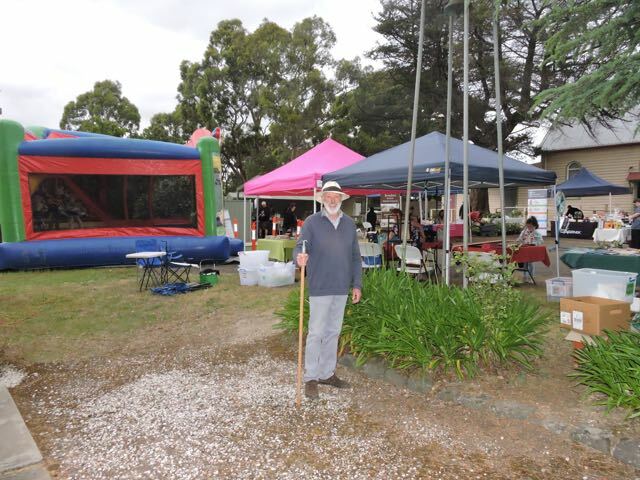 Following on from this, parishioners then gathered at the new home of Tallarook parishioner Ian Staring for the July parish BBQ! On a wintery evening, parishioners enjoyed an evening of entertainment by the BATS Group (Broadford Amateur Theatrical Group) to watch and support our very own Rev'd Maryann, and also Dean Saaita, Jono Leonard and Peter Hagen and the rest of the cast in the Gershwin Show "Nice Work If You Can Get It". In May the first of our monthly Meditation Services began. A group of parishioners gathered at Christ Church and were led through a spiritual reflective meditation by Rector Fr Kim. 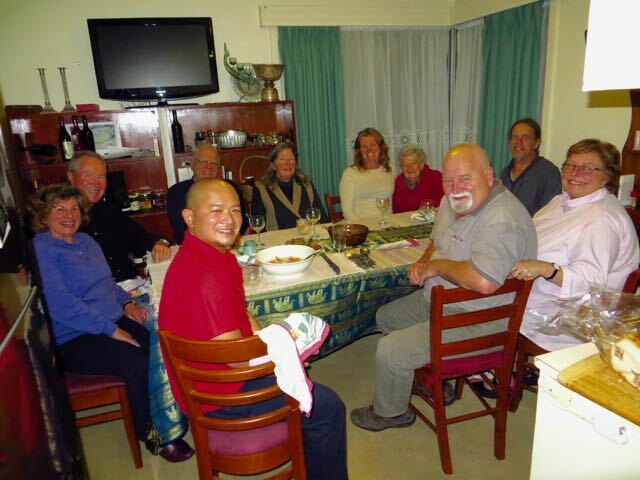 Following the service, all enjoyed a wonderful soup supper in the Rectory. baptism of five at christ church! 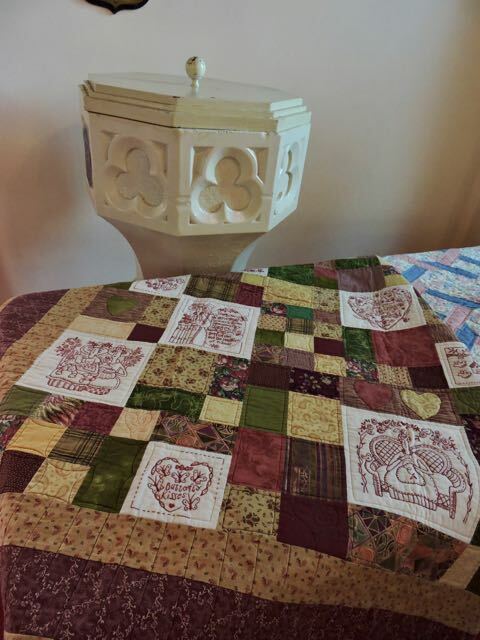 On Trinity Sunday, five members of the same family were baptised at Christ Church. What a joy that was. We welcomed into the church Evan, Zoe, Wyatt, Zachary and Samuel. Also at the morning Mass, our Trinity Candle was lit for the first time. This will be lit at every service during the Pentecost Season. 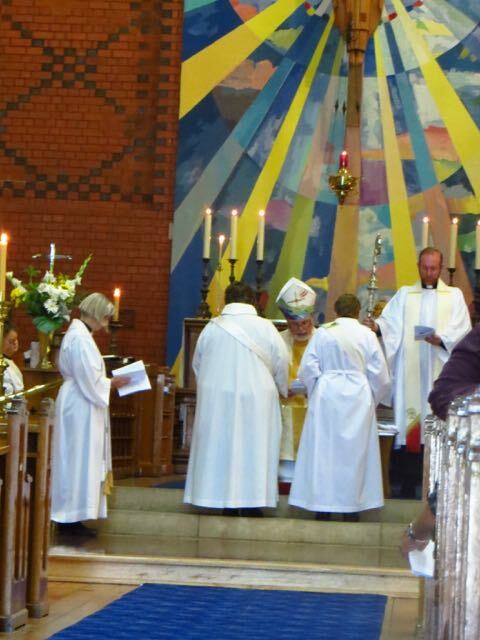 On the 15th May, along with churches around the world, we celebrated the Feast of Pentecost. Parishioners joined in the 'spirit' of the occasion dressing in red for the Sunday Eucharist! 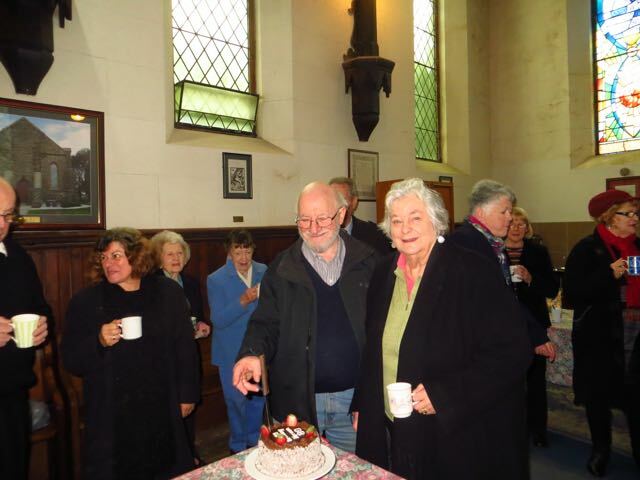 Following the service at Christ Church, a special morning tea was held complete with 'Pentecost birthday' cake for the church! 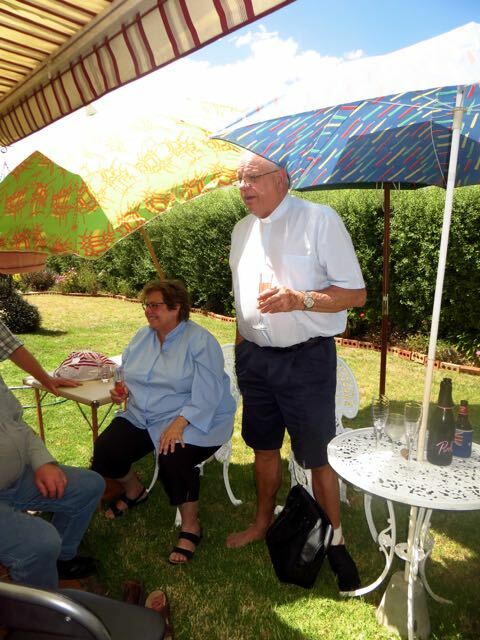 In April our monthly BBQ took us to the home of Val and Barry in Tallarook where parishioners enjoyed a great afternoon in a wonderful bush surrounding. 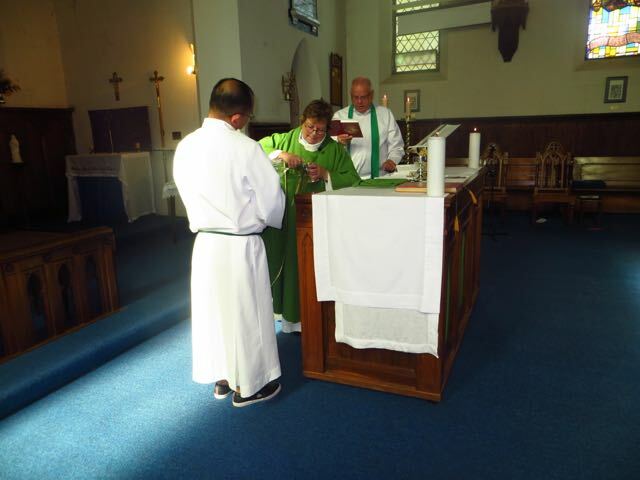 It was also a good excuse to help Fr Kim celebrate his birthday! 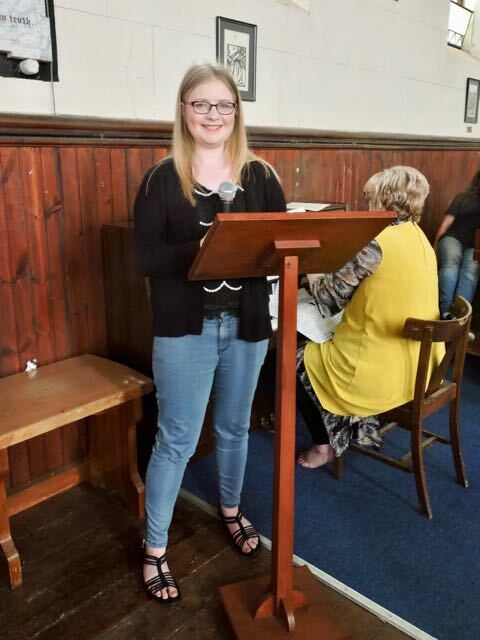 In April we welcomed into the church, Kasey who was baptised at Christ Church. Loving God, bless Kasey as she begins her journey of faith. We pray for her and her parents Rhys and Rachael. 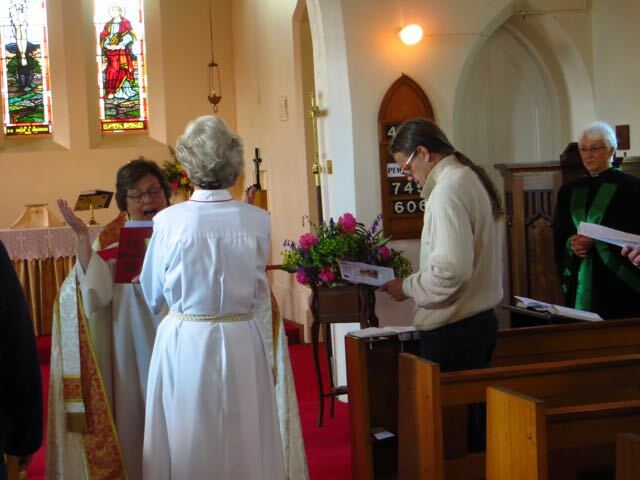 Cursillistas from around the Diocese and visitors from Melbourne, gathered at St Matthew's Broadford in April. 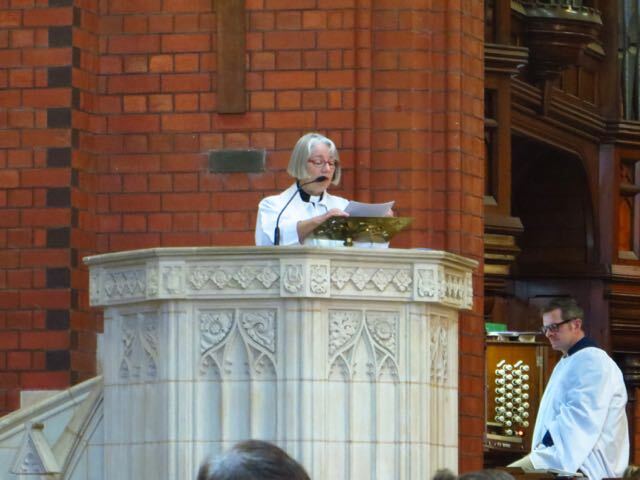 Rev'd Maryann presided over the Eucharist and was also guest speaker for the day. Following Mass, lunch was enjoyed by all in Gavan Hall. With a wonderful Holy Week behind us, parishioners gathered at Christ Church at dawn on Easter morning for the first Mass of Easter. The Easter fire, the candles, and the bells and the celebration of Easter had begun. Between the Easter Vigil and the first Mass for Easter day, a sumptuous breakfast was enjoyed by all. Gathering after enjoying the Easter Vigil breakfast. 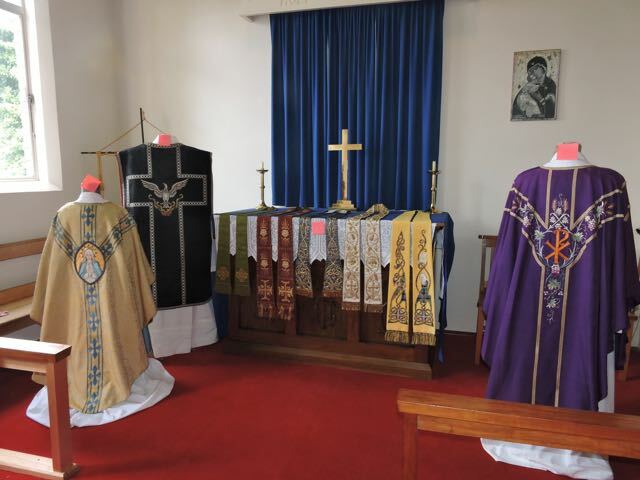 On 12th March, Christ Church held its first wedding for many years. Sarah Burge and Paul Davidson celebrated their marriage in front of over 100 family and friends who came to witness the occasion. It was lovely to welcome Fr Thomas Lesley from Yea to our Parish on the occasion of the baptism of Baby Austin. Our Parish monthly BBQ's continue to be a great time of hospitality and enjoyment. BBQ's are held at various homes around the parish on the 2nd Sunday of each month. 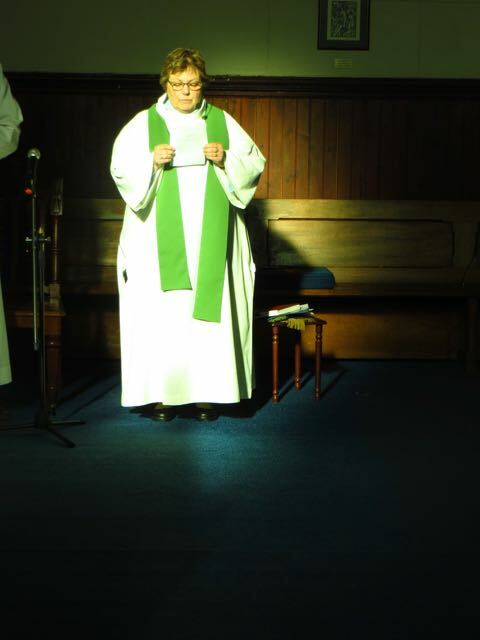 Our February BBQ also incorporated celebrated the Commissioning of Rev'd Maryann into the parish. 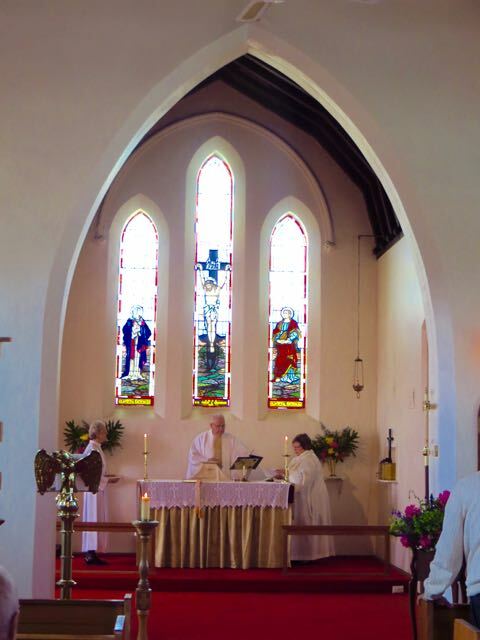 The day following Rev'd Maryann's Ordination to the Priesthood, parishioners witnessed and worshipped at her first Mass at Christ Church, Kilmore. 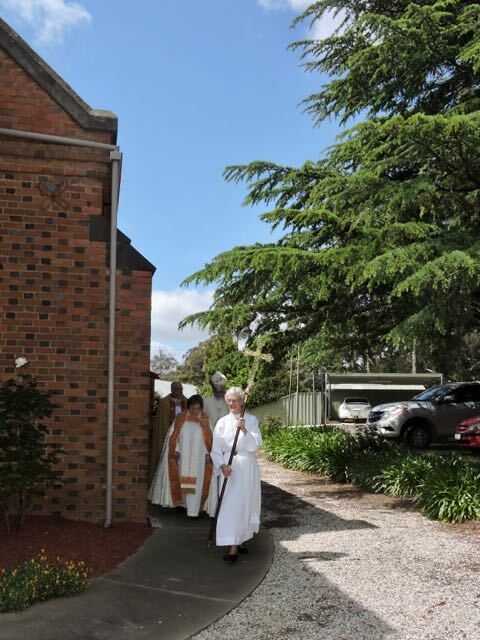 On February 6th, several cars and a bus load of parishioners travelled to Wangaratta for the Ordination of Rev'd Maryann Leonard. 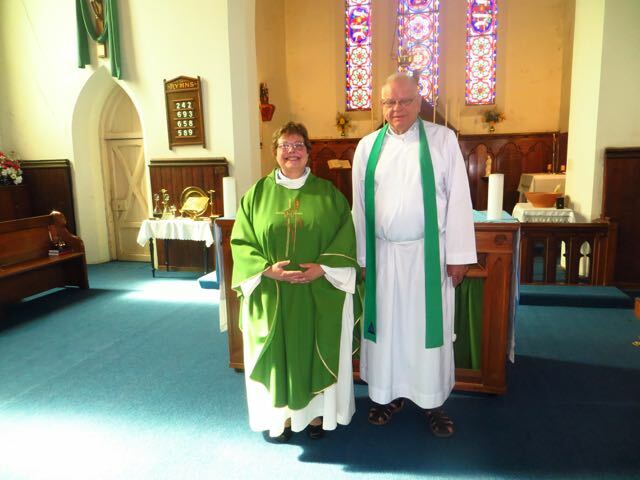 Rev'd Maryann has been our honorary Deacon for several months, and will be joining us for 2016 as our Assistant Priest. 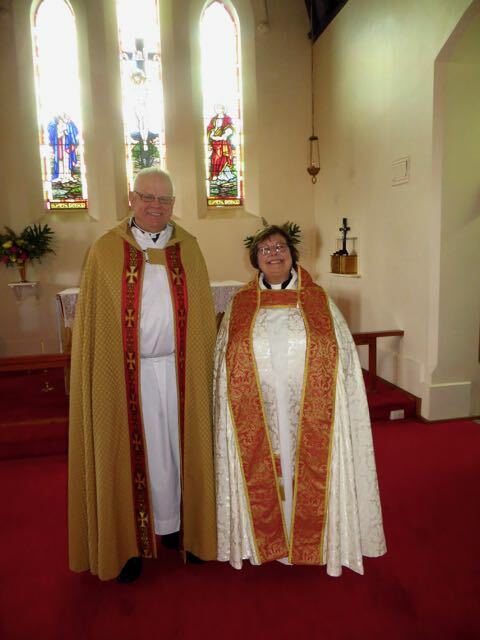 Congratulation Rev'd Maryann.